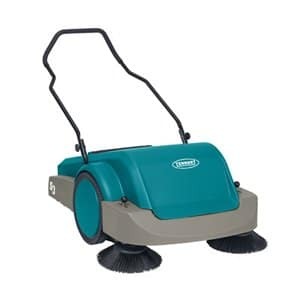 The Tennant sweeper range of industrial cleaning machines offer superior quality. Tennant is a world leading manufacturer of indoor and outdoor cleaning machines and has been operating sine 1870. 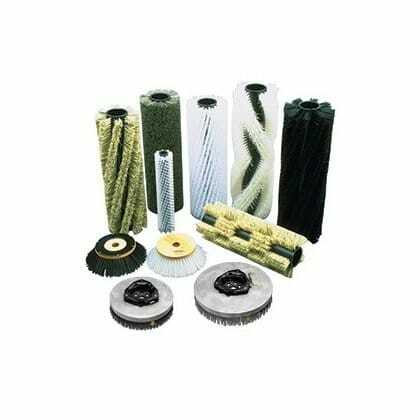 Clemas & Co. are a leading distributor of Tennant sweepers throughout most of England and Wales and can offer expert advice on what cleaning solution is best for you. 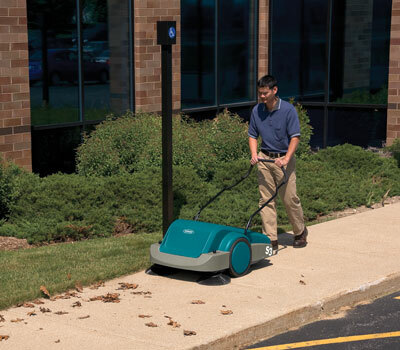 Easy to use manual sweeping machine, ideal for both internal & external areas, push & go! 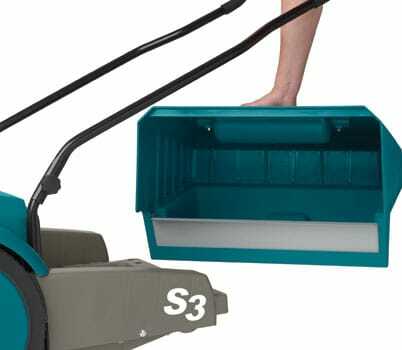 The Tennant S3 manual sweeper has dual side brushes increase the sweeping path to 34 in, and a large 50L hopper saves you trips to the bin, which gives you more time for cleaning. 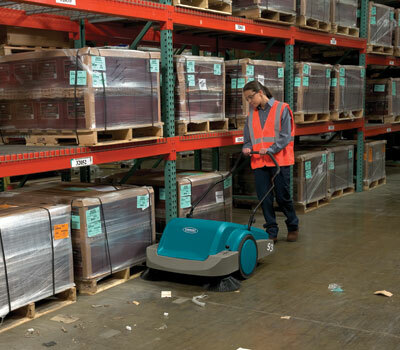 The Tennant S3 sweeper’s flexible design is well suited for indoor and outdoor cleaning. Manual operation makes it the perfect option for noise-sensitive environments. Increase productivity with simple, no-tool side brush adjustments and easy-to-use operation for less time training and more time cleaning. The sweeper’s contoured handle is padded and ergonomically designed for optimal operator comfort. The Tennant S9 sweeper is a larger alternative battery operated pedestrian floor sweeper great for dust control in larger areas.